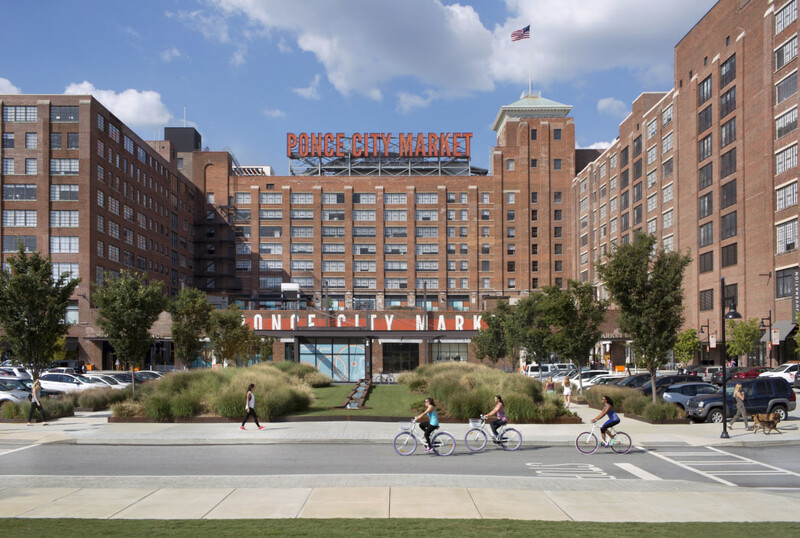 The Eastside Trail is hands-down the most popular of Atlanta’s BeltLine paths, and there's good reason: Along its two miles are some of Atlanta's best bars and restaurants. 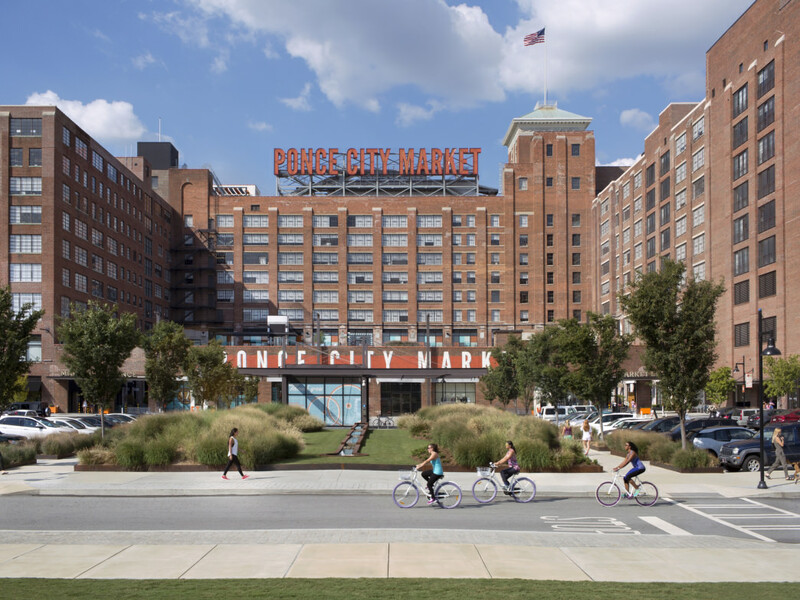 Begin in bustling Midtown at the Piedmont Park entrance at 10th Street and Monroe Drive, then head into the historic Old Fourth Ward and end in Inman Park. Follow this guide and you won't miss what are truly a handful of the city's coolest, tastiest, and most unique offerings. Located an actual stone's throw from Piedmont Park—even if you've got a weak arm—this renowned artisanal brewery is open for tasting tours nightly on Thursdays and Fridays, and from around noon until evening on Saturdays and Sundays. Give Atalanta a try—and yes, it's really spelled that way. One of Orpheus Brewing's signature beers available year-round, Atalanta features spicy yeast combined with heaps of plums. It's a fresh, tart delight. Once you try it, you'll want a full pint to enjoy on one of their cozy outdoor patios. Traditional Taiwanese small plates and street food are the focus at this Midtown restaurant: Fried pig ears, steamed bao buns, rice dishes, noodle soups, and more. You'll find Ah-Ma's on Monroe Drive at Midtown Promenade, where Midtown Arts Cinema is located, just across the street from Piedmont Park. 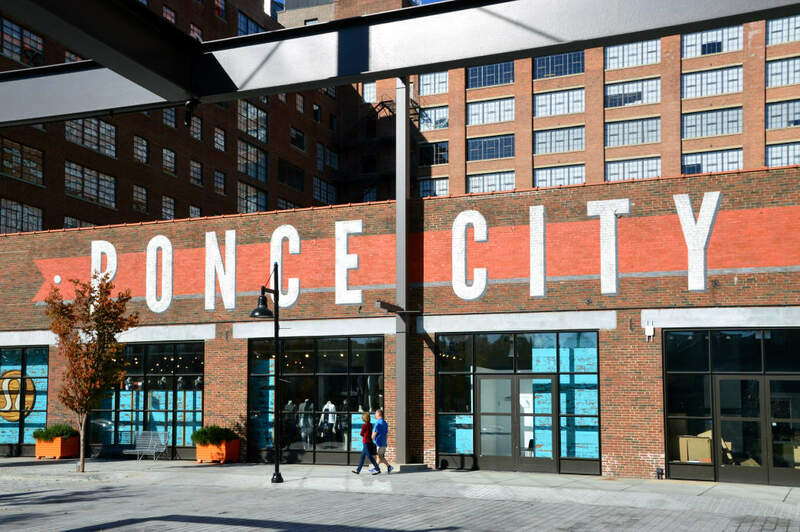 At the food hall inside Ponce City Market, an Eastside trail centerpiece located mid-way through, diversity reigns, from Indian street food like kebabs and chaat (snacks), the Szechuan-inspired fare at Jai, the wood-roasted duckling at Brezza Cucina, and the classic American eats—and delectable, meticulously crafted throwback cocktails—at the Mercury. That phrase about variety being the spice of life? It takes on an unprecedented literal meaning here. The boozin' selection shares the same ethos, too. At The Tap on Ponce, you've got more than 56 drafts to choose from. Now boasting several Atlanta locations, the Old Fourth Ward flagship has long been a favorite for lovers of freshly baked goods, from cookies to muffins to bagels and made-to-order cakes. But Highland Bakery is also a go-to brunch spot. Its appeal is boosted by a eclectic menu that includes southern classics (grits galore, country-fried steak) as well as mixed-inspiration surprises (cilantro pancakes, a slew of benedict varieties, Italian garlic bread with eggs and marinara). Like its namesake implies, it's located on Highland Avenue— hop off the trail there for easy access. Along the trail at mile marker 9.25 on John Wesley Dobbs Avenue is Ladybird Grove & Mess Hall, and it's really campy—seriously. From the camper-turned-cocktail bar on the expansive patio to the shared seating at long mess hall-style tables inside, the outdoor theme is clear. But it works perfectly: It's a truly unique spot, one that outdoorsy folks will surely love. 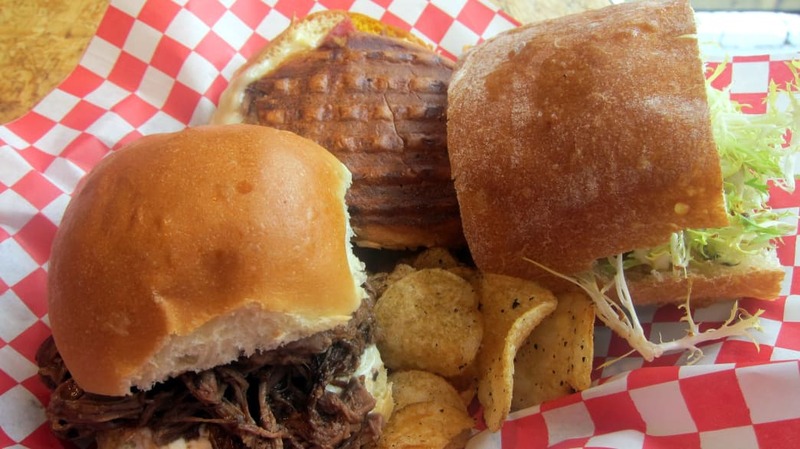 Lunch and dinner are served daily, with brunch on the weekends; highlights of the "provisions" at Ladybird include the Woodman's Breakfast for two, lunchtime trail snacks like smoked wings and pimento cheese fritters, and a meaty dinnertime feast—again, for two—of pulled pork, ribs, Brunswick stew, and sausage. Just a few minutes' walk from the Irwin Street on Auburn Avenue, fresh fruits are combined in creative, delicious ways in LottaFrutta's super-original fruit cups. Add yogurt, crunchy granola, honey drizzles, or dairy-free crema—that latter ingredient should clue you in that LottaFrutta is a Latin-style joint! Rivaling the fun of the fruit cups is the smoothie menu, featuring cleverly named mixes like the Iwanna Guanabana and Muchaenergia. Save room for a sandwich, though: Their Latin breads grilled panini-style make every combo subtly sweet and totally delicious. 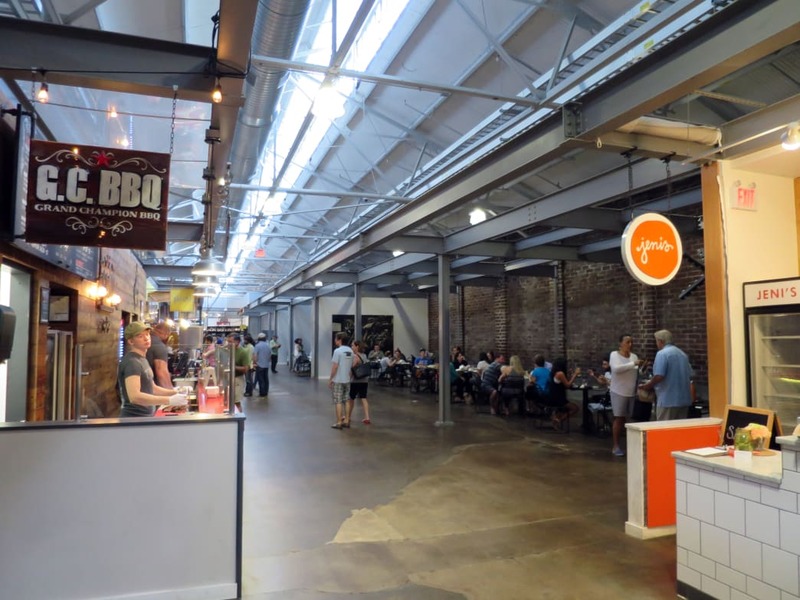 Just a few minutes from the end of the trail at Irwin Street, Krog Street Market is another food hall that will overwhelm you with choices. It's got everything from Mex-Tex (Superica) to spicy Korean fried chicken (Suzy Siu's Baos), plus Paleo diet specialties at Urban pL8 and authentic Italian at Varuni Napoli. There's plenty to choose from, but definitely make popping in at Ticonderoga Club a priority. The menu is stellar—comprised of creative comfort food and smart signature cocktails—but it's really the one-of-a-kind vibe that'll keep you coming back like a genuine member. There's a hint of punk-rock grit in its upscale Southern sleekness; the wood ceiling beams and brick feel vintage, but also modern. Ticonderoga Club has a special kind of wry charm, and despite its presumed club-like pretense, it's wholly warm and welcoming. Written by Jhoni Jackson for RootsRated in partnership with Atlanta CVB.